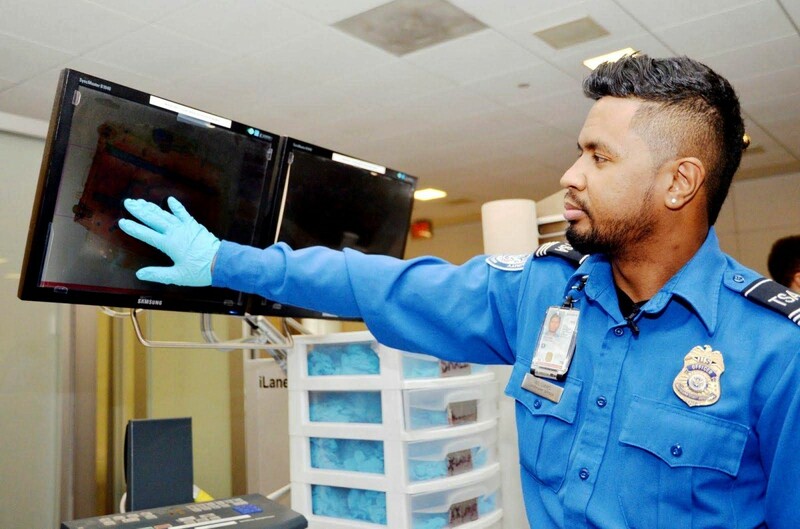 As the partial U.S. government shutdown enters its fifth week, the Transportation Security Administration (TSA) has reached a breaking point. READ MORE: How the partial government shutdown could ruin travel to the U.S. According to the latest data taken from the TSA's website, yesterday’s complete figures show that TSA experienced a national rate of 7.5 per cent of unscheduled absences compared to a 3.3 per cent rate one year ago on the same weekday, Monday, Jan. 22, 2018; many employees are reporting that they are not able to report to work due to financial limitations. TSA workers have been coming into work without pay since Dec. 22, 2018, and for some, the financial strain has become too much to handle. Due to the shutdown, the TSA could not be reached for comment. The U.S. Customs and Border Protection agency was also unavailable for comment due to similar circumstances. Neither the TSA nor the CBP are answering telephone calls, or managing their websites, with both agencies declaring that communications with the public will not be restored or monitored until after funding is enacted. Social media accounts for the TSA are still up and running, though the Twitter page is mainly only publishing relevant updates for media. Nationwide, the Transportation Security Administration screened 2.18 million passengers yesterday, Monday, Jan. 21. Overall, 99.9 per cent of passengers waited less than 30 minutes and 93.1 percent of passengers waited less than 15 minutes. In an attempt to help out, Bahamas Paradise Cruise Line will offer furloughed federal employees and families that are currently impacted by the government shutdown a complimentary buffet lunch and afternoon aboard the ship free of charge, from now until Jan. 31, or until the shutdown ends (whichever comes first). Bahamas Paradise Cruise Line requests that federal employees call customer service at 800-374-4363 to reserve their lunch and visit and that they provide a federal ID at port terminal visitor check in. For the latest information on TSA operations, visit www.tsa.gov.